We are a leading Manufacturer of ceramic tumbling media, ceramic media and ceramic deburring media from Bengaluru, India. 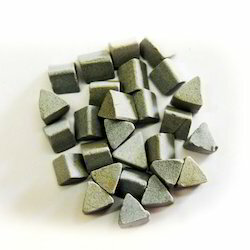 Ceramic Tumbling Media is used in mass finishing application, for light and heavy deburring, fast and aggressive metal removal. Abrasive media is the cutting tool in mass finishing. The proper selection of media grade, size and shape is essential to get good surface finish and quality. 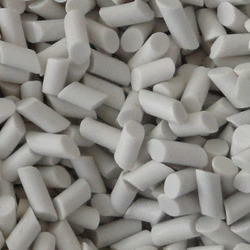 Ceramic media is used in mass finishing application for light and heavy deburring, fast and aggressive metal removal. 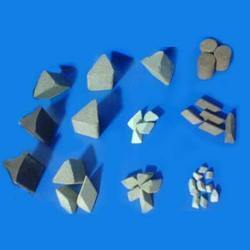 Ceramic Tumbling Media is the cutting tool in mass finishing. The proper selection of media grade,size and shape is essential to get good surface finish and quality. available in wide range of shapes, sizes and grades. We are dealing in Ceramic Deburring Media.